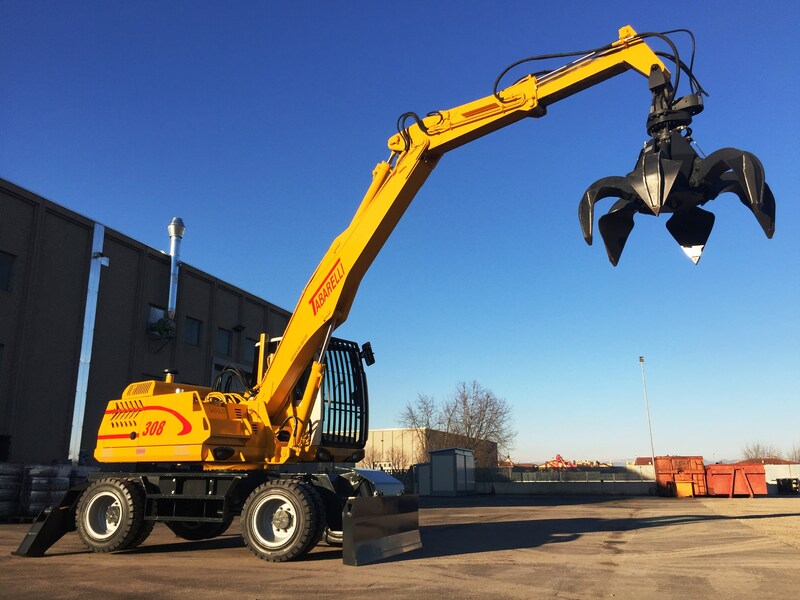 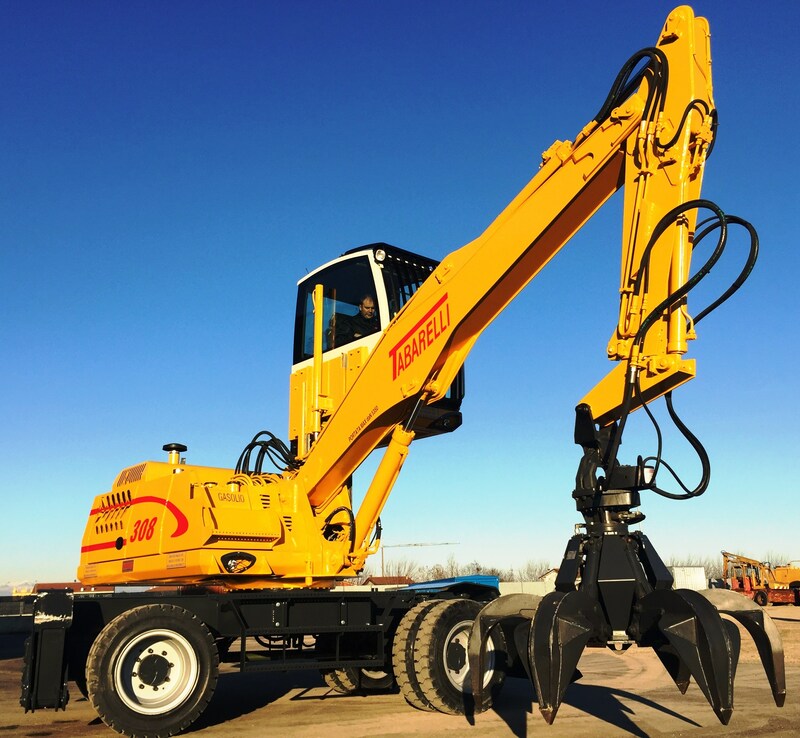 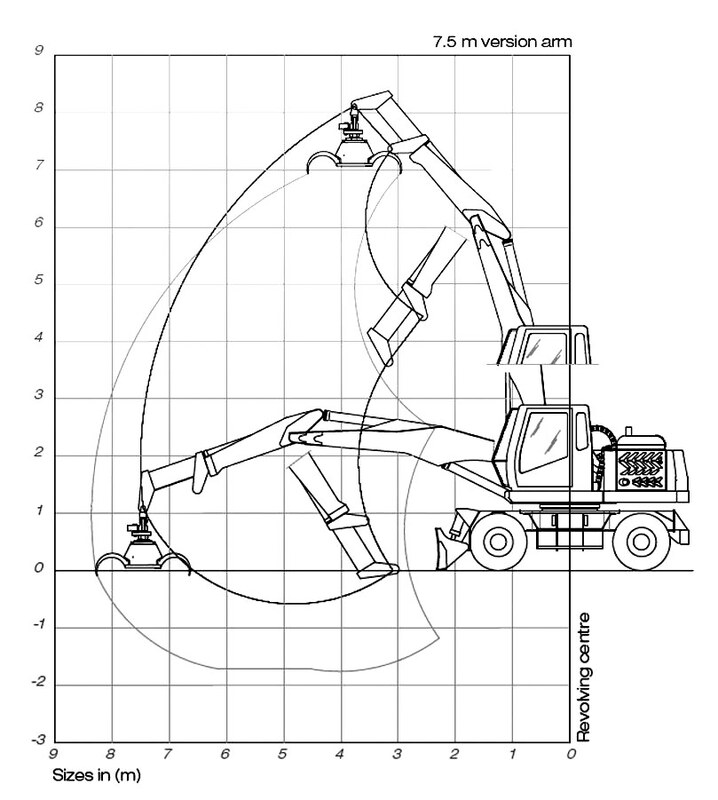 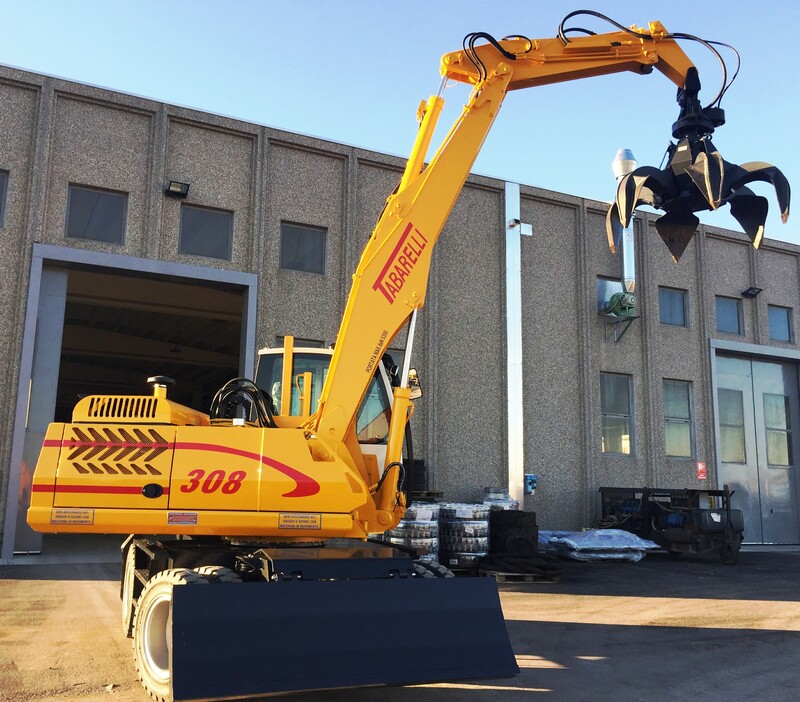 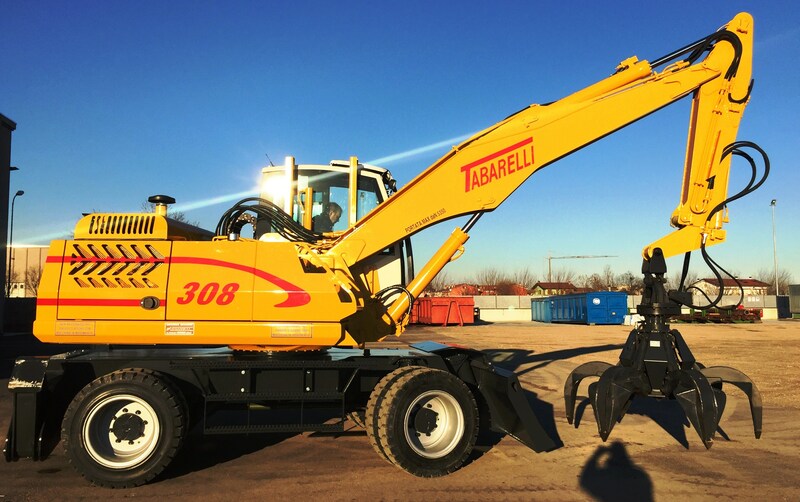 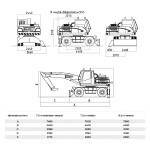 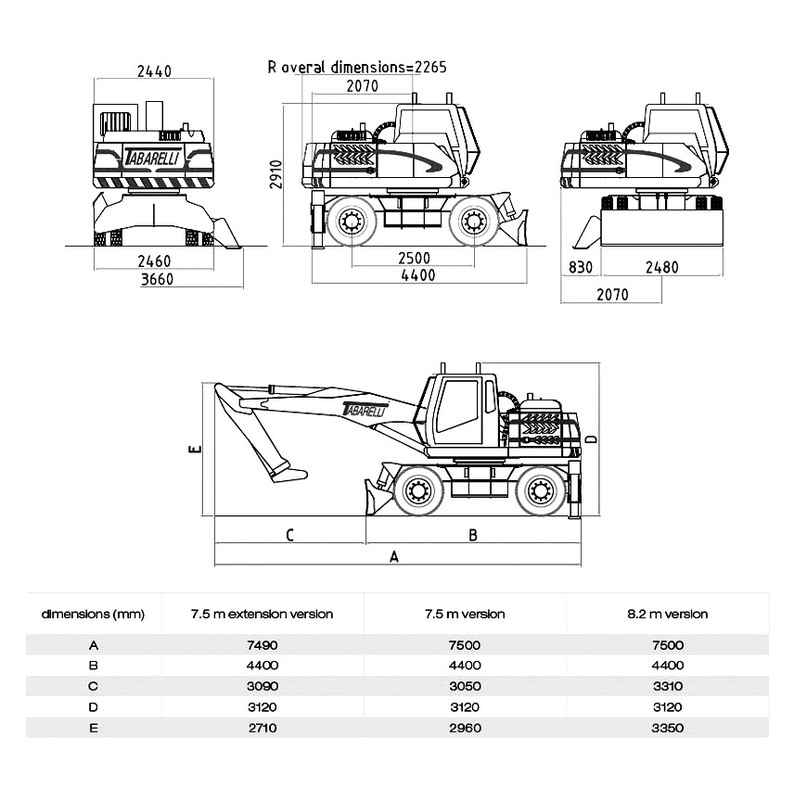 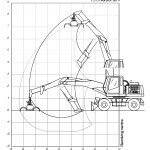 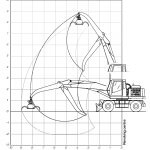 T308 material handler: maximum speed! 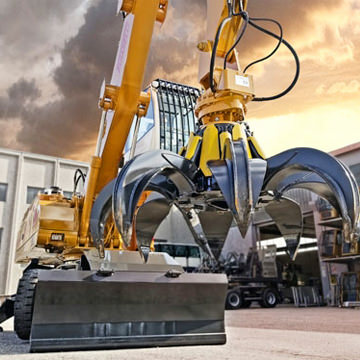 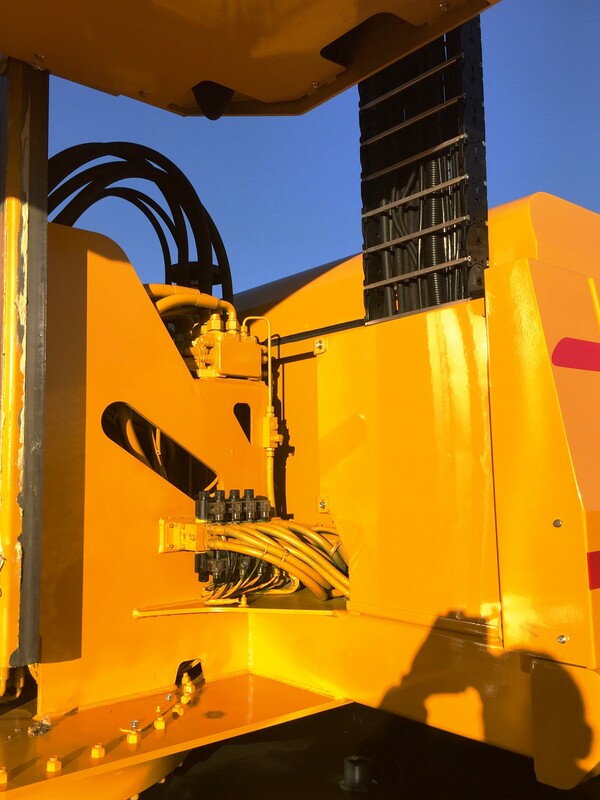 Structural and maintenance simplicity make all standard operations performed during machine life very easy. 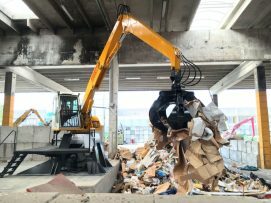 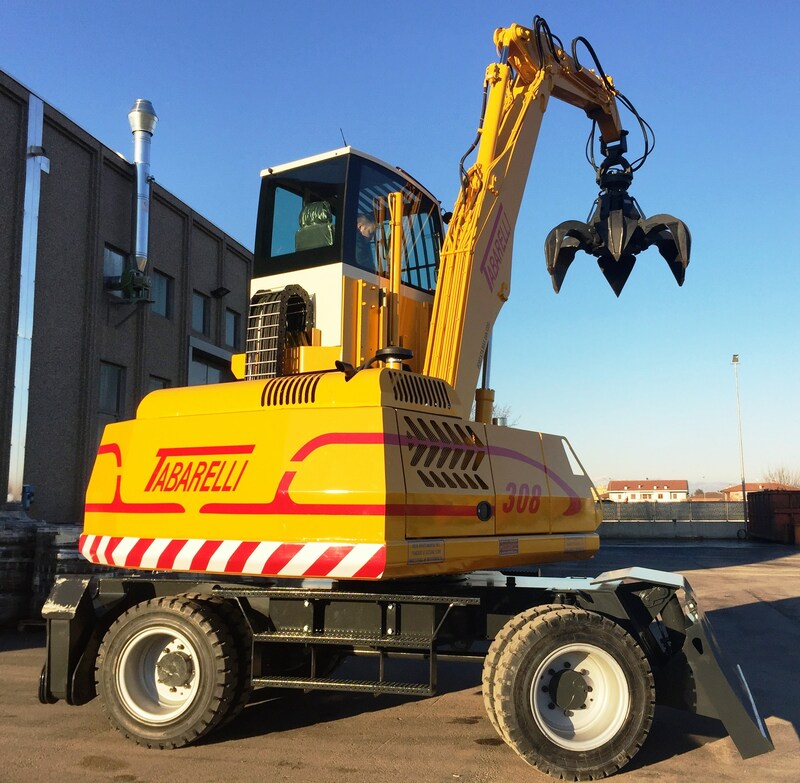 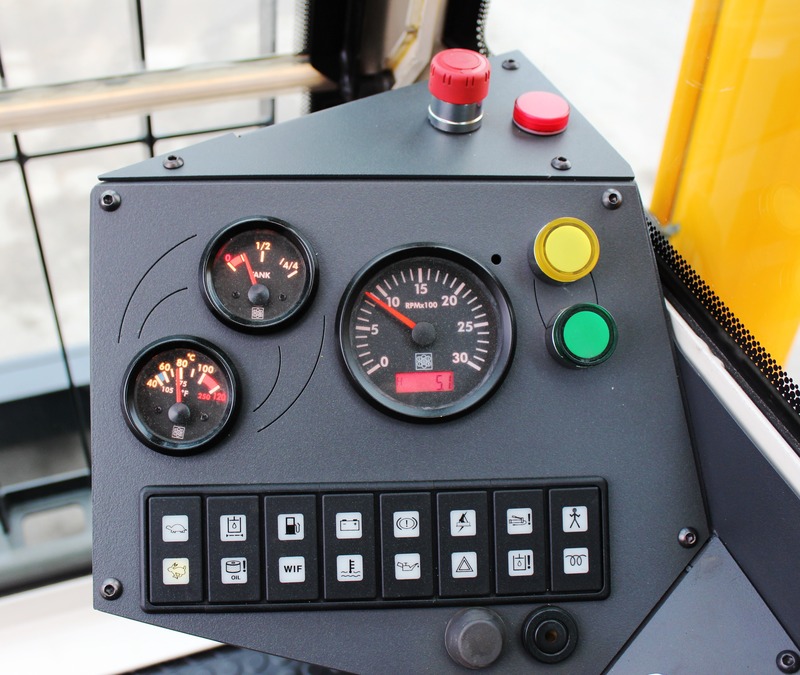 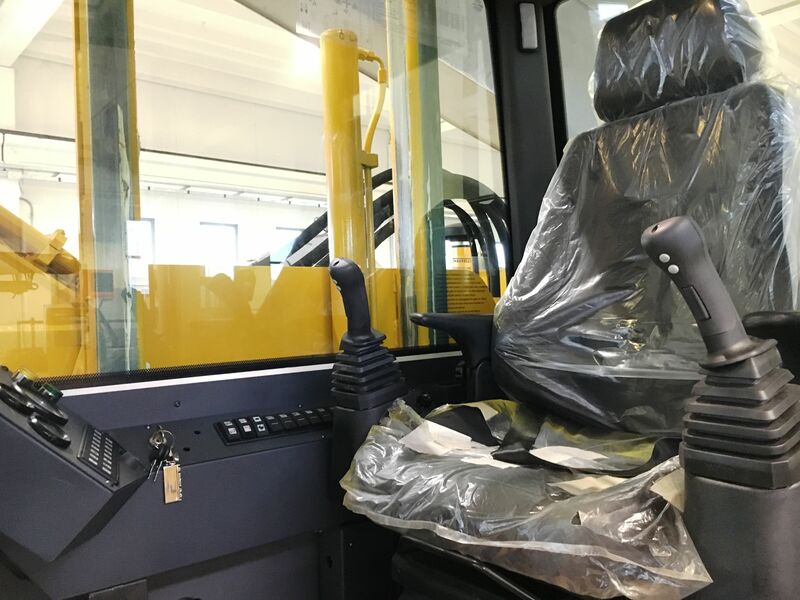 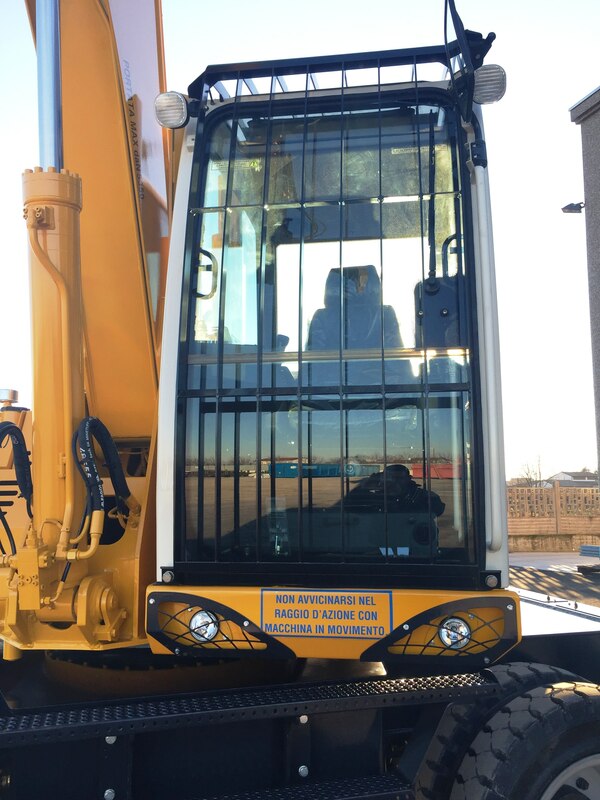 Spacious, comfortable operator’s cab and simple clearly arranged controls allow immediate familiarization with the machine, obtaining best performance quickly. 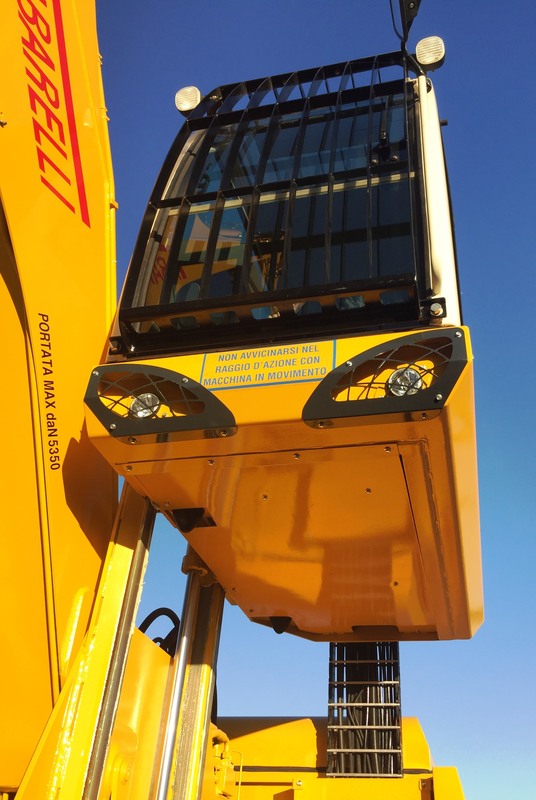 Wide access areas, easy control and adjustment mean that every maintenance operation can be done in a short time in order to reduce down-time, a great advantage of productivity! 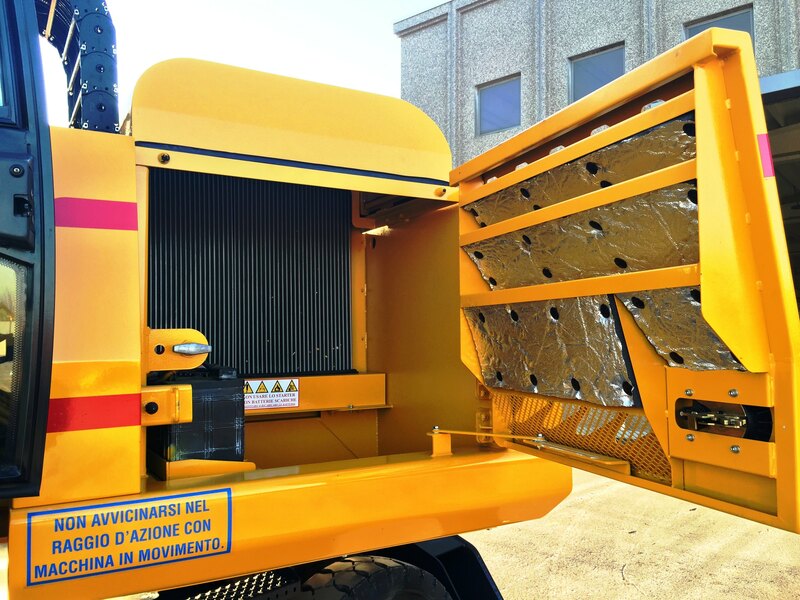 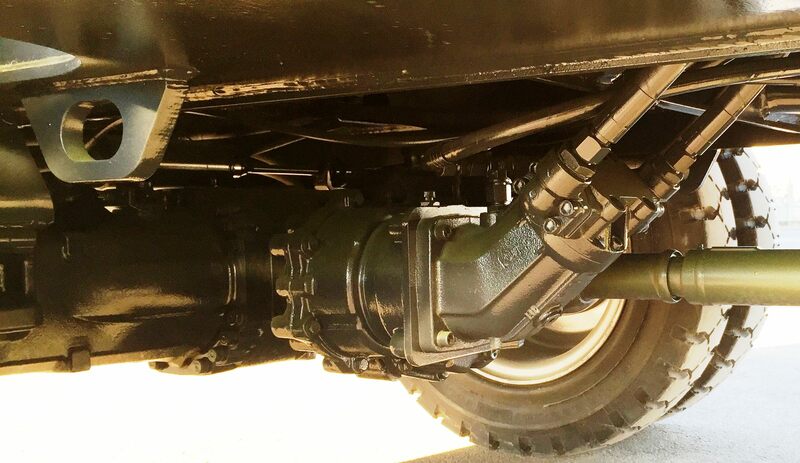 The 74 kW turbo diesel engine, suited to the machine’s size means containing consumption without waste, with operating costs reduction. 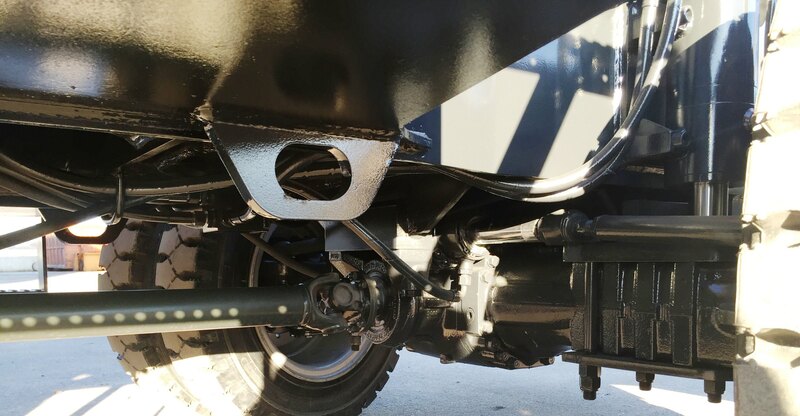 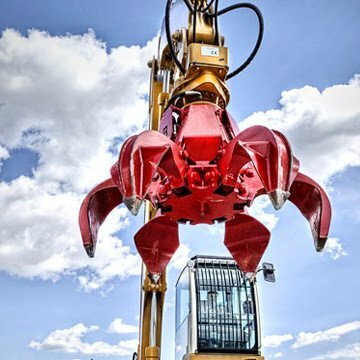 Certain devices such as the factory-mounted balancing countershafts add greater comfort features to the machine, reducing operator’s fatigue. 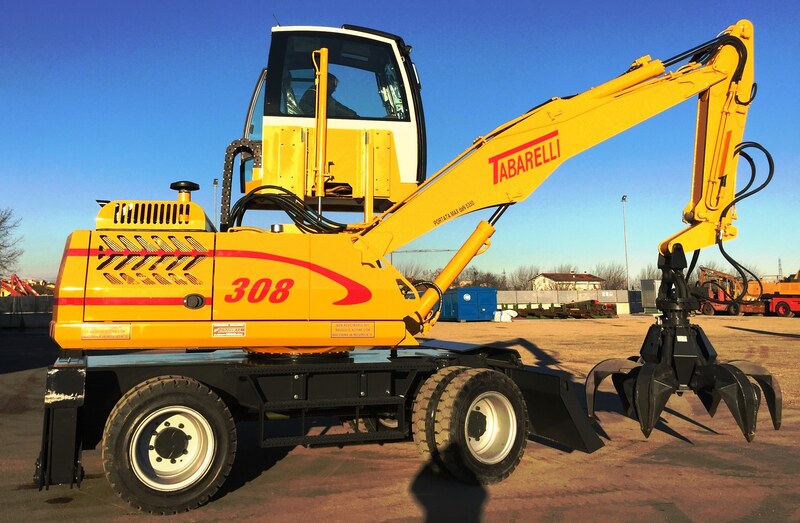 The T308 moves and works non-stop with speed and precision. 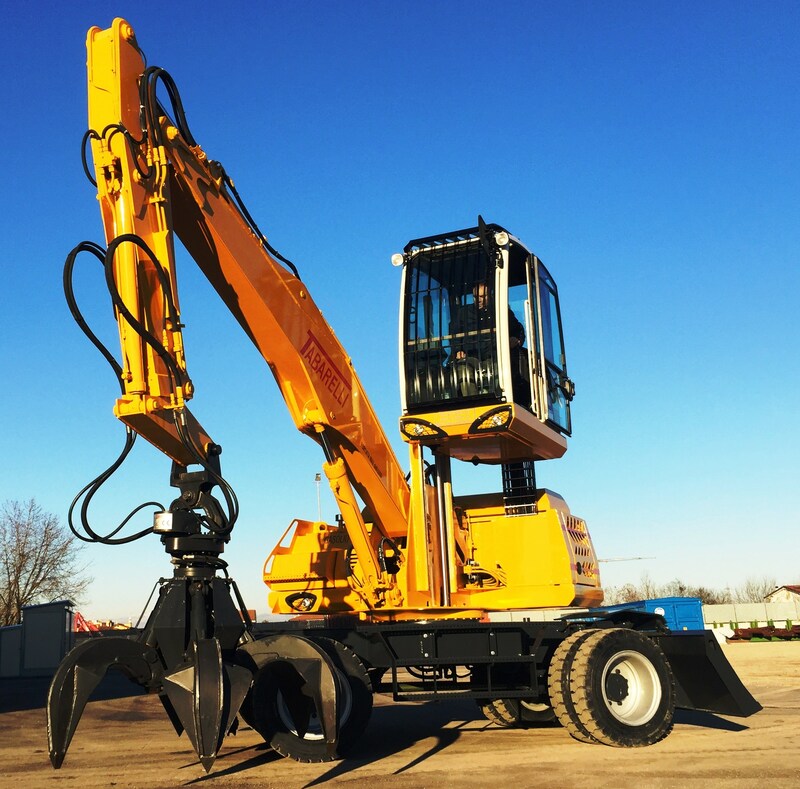 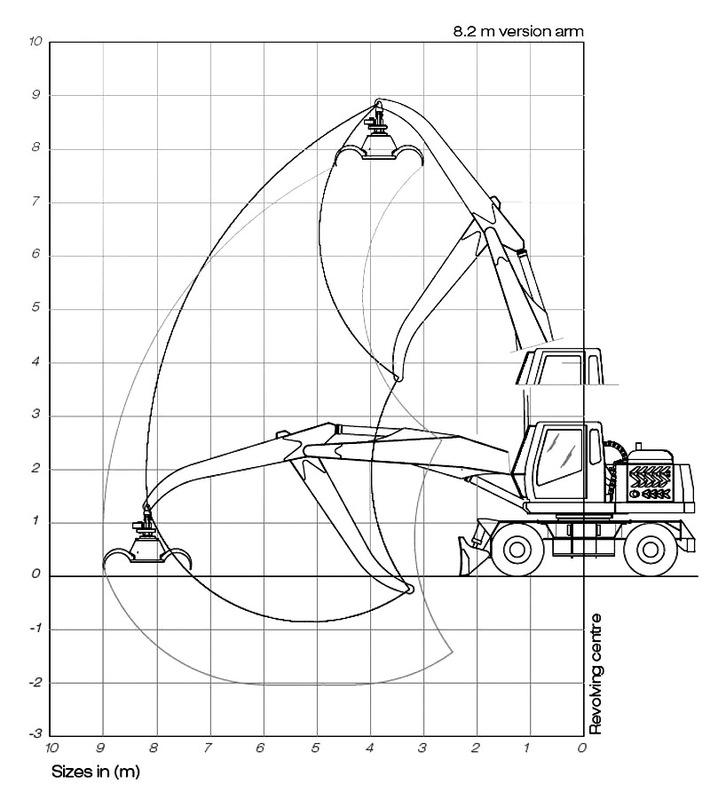 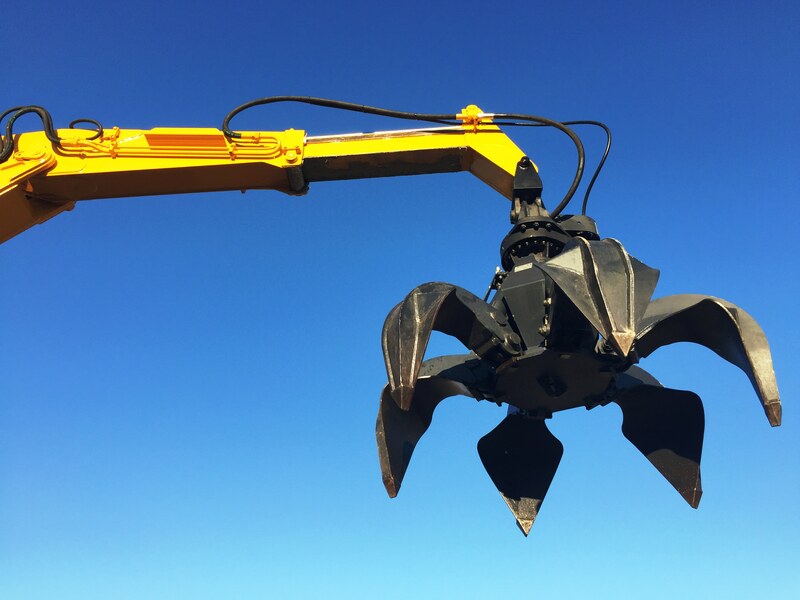 Sturdiness and power mean it can perform all work with maximum efficiency and comfort for the operator. 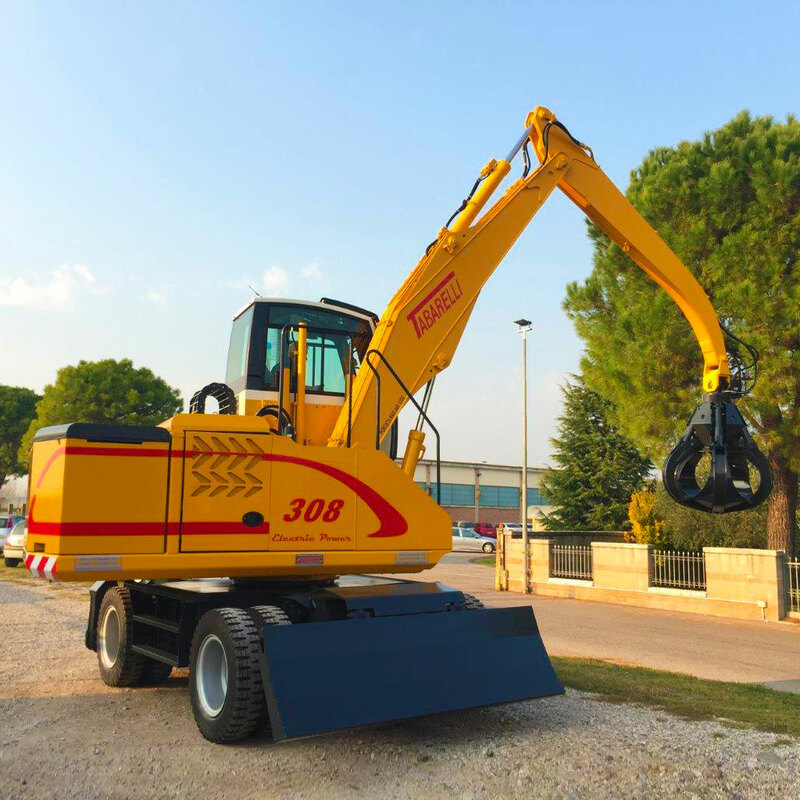 Reliability and operating continuity are crucial factors for machine performance: with its features, the T308 guarantees achieving these goals and the return on your investment.